The name Mossberg (the company’s official name is O.F. Mossberg & Sons) is pretty well-known to anyone who has had anything to do with shotguns. This American firearms manufacturer is about to celebrate its 100th anniversary, and it is still going strong. It is a name which commands respect and admiration, and rightly so. 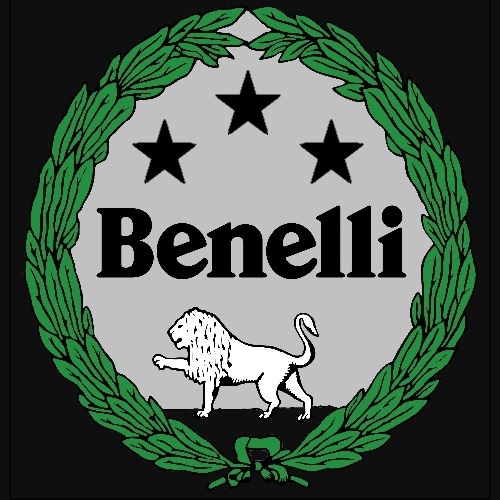 This family-owned outfit has a rich history, and here is some of it at a glance. Welcome to our O.F. Mossberg & Sons Company Overview and Review! 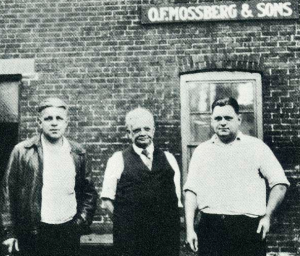 The Mossberg firearms manufacturing company was founded in 1919, by Swedish immigrant Oscar Frederick Mossberg (1866-1937). Mossberg had worked for many different firearms companies following his arrival in the U.S. in 1886. In 1919, the Great War was over, and the firearms manufacturer which Mossberg had been working for during the war, Marlin-Rockwell, ceased its operations. Marlin later regrouped, and is still busy producing fine firearms, but the 53-year-old unemployed Mossberg decided to go into the firearms business on his own. He did so with his sons (as the name of the company suggests), and Mossberg is currently the oldest family-owned firearms manufacturer in the U.S. There is definitely something cool about that. The first firearm to be manufactured by the father and sons team was the Brownie, a four-shot pocket pistol chambered in .22. The Brownie was the gun that got the ball rolling in the 1920’s, and slowly but surely Mossberg would become a household name. With the success of the Brownie, more designs and models followed. Mossberg was focusing on relatively simple and economical designs, which were geared towards the civilian population: hunters, trappers, sportsmen, etc. 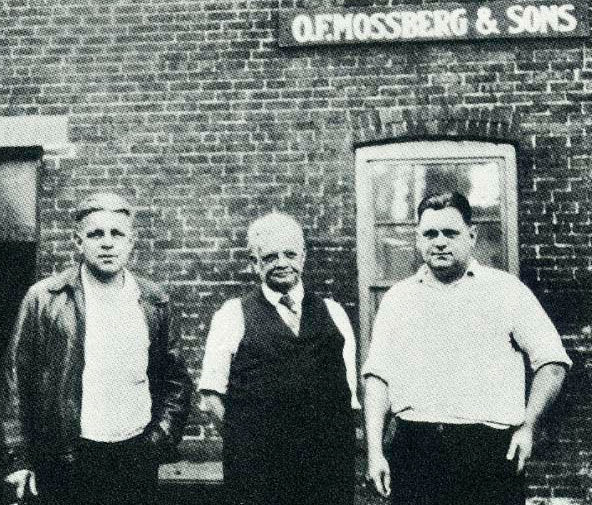 In 1937, father Mossberg died, leaving his sons to take care of the business. Shortly thereafter, World War II broke out, and the company went to work producing machine guns and rifles for the American military and its allies. Originally, the location of the Mossberg headquarters was in New Haven, Connecticut. Later on, the headquarters were moved to North Haven, a few miles away. Headquarters are still there, but the main firearm production operation (titled Maverick Arms) was relocated to Eagle Pass, Texas in 1989. 24 years later, Mossberg invested over $3 million to add 116,000 square-feet to their Texas production facility, and it is currently one of the most successful operations in town. Nowadays, the company produces handguns, rifles, shotguns, accessories, gear, and more. Over 90% of all the company’s firearms are manufactured at the Eagle Pass plant, but some models are still produced elsewhere. Mossberg have got many rifles in their catalog. Rifles meant for sports, recreation, hunting, and self-defense. They come in a variety of models and calibers, with auto loading, bolt-action, or lever-action capabilities. Some of their best models are ones which are based on the AR platform (the MMR series), or on the AK-47 rifle (the Blaze-47 series). Some of these rifles are already scoped, and are good to go right out of the box. Check out our Glock 17, 19, 26, 30, SIG P228, and M16 Features! Like their rifles, Mossberg’s shotguns are also meant for a variety of uses: tactical uses, hunting, sports and recreation. The most famous of these is probably the Mossberg 500 shotgun, a pump-action legend and American icon. Mossberg also has break-action and auto loading options. A very popular model is the 590 12-gauge, which was also introduced in 2016 in a 7-shot version. Mossberg’s website is one of the most informative ones around. 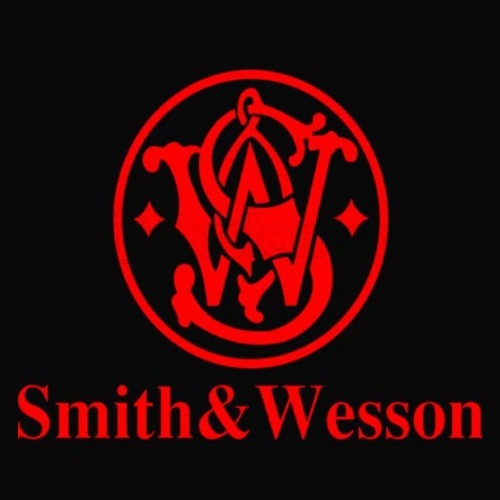 They do not sell firearms directly from the website (you’ll need to find a local dealer for that), but they do sell accessories, parts, apparel, gear, and other related items. The firearms section has information on all of Mossberg’s firearms – shotguns, pistols, rifles, and the various series of weapons and sports guns available. In that section you will also be able to locate a dealer close to you. The store section is an online store where visitors can purchase parts, accessories, clothing, and Mossberg gear. They have some very good deals there, depending on the season, so be sure to check it and see if something you would like to have is on sale. The customer service section of their website has everything a shooter-in-need needs. There is the current catalog, an extensive frequently asked questions page, owner’s manuals, news on recalls and upgrades, and pages dedicated to discontinued models. The community section features an ‘about us’ page, printable target sheets, e-books, and news regarding different events, competitions, and contests. Mossberg’s blog section helps give shooters a heads up on what is going on in the shooting world in general. Topics include legal/advocacy-related news, hunting and camping, family-oriented shooting, tips for firearms usage, and guides to Mossberg products and gun purchasing. Articles and videos are uploaded on a regular basis, though some sections see more action than others. A firearm safety section is pretty much called for, and Mossberg’s website has a small and rather standard page on safety, including the 10 commandments for safe usage, and links to secure storage solutions, and tips on how to discuss firearms with your children. The final section in the Mossberg website is dedicated to law-enforcement. Sub-sections include armorer training, list of authorized law-enforcement distributors, requesting a sample firearm for testing and evaluation, requesting a law-enforcement Mossberg catalog, information on service and support for law-enforcement personnel, plus a list of all law-enforcement technical service specialists. Overall, a very user-friendly website which provides with everything you need to know in order to make the best of your Mossberg experience. Anything short of actually purchasing a firearm can be found there. First off, Mossberg makes all three of these firearms, but the Maverick 88 is the least “Mossbergy” of them, being an economy model based on the 500. A cheaper version of what is undoubtedly one of the best shotguns around. The Maverick 88 is a compact 5 shot or full-size 8 shot, and it comes in over/under configuration or pump-action. The design differs from a 500 in the trigger guard, the location of the safety, and in the fact there there is a pin keeping the 88’s fore end in place (rather than a screw). The 88 doesn’t accommodate accessories as easily as the 500 does. The 88 is a metal and alloy construction, blued where it counts, and in those aspects is quite similar to the 500. Mossberg call it “the working man’s shotgun” due to its ruggedness, reliability, and pocket-friendly pricing. Like other Mossberg’s, it is produced in the USA, though some parts may be shipped in from foreign plants. One of the shortcomings of the 88 – and this is true to the 500 as well – is that is has a polymer trigger group. The 500 is well-known for its capabilities. It is the only Milspec pump-action shotgun, and it is being used at this very moment by citizens, law-enforcement departments, military units, and government agents around the world. Available in 100 or so models of different gauges and specs,, this shotgun is as high-quality as they come. The receiver is drilled and tapped at the factory, and the safety is at the top of the receiver, unlike its 88 cousin. The 590 is often confused with the military designated 590A1. These two are very similar, but they do differ in a few crucial points, such as the materials used, the shotgun’s treatments and finishes, and the metallic trigger group and metallic safety switch. Both the 590 and 590A1 are excellent shotguns, which have proven themselves in countless situations, whether in the field or in urban settings. The different specs and models which are available make each version a little different, so do your research and see which of these Mossberg’s best fits your needs. From the economy 88 to the Milspec 590A1, these firearms are all a real pleasure to shoot. Mossberg have various warranties on their firearms, depending on the model and action. I haven’t had any dealings with their customer service reps, but from the digging I did, it seems they are pretty accommodating and helpful. As always, your mileage may vary. So, what is up ahead for Mossberg? Well, we are sure to find out during the upcoming SHOT Show 2017. Whatever it is, there is no doubt it is going to be splendiferous. Mossberg always strives for perfection and improvements on its existing line products, as well as to keep things fresh with new designs. You don’t get to 100 years in the firearms business without doing something right. Mossberg’s team is dedicated, innovative, and cutting edge. 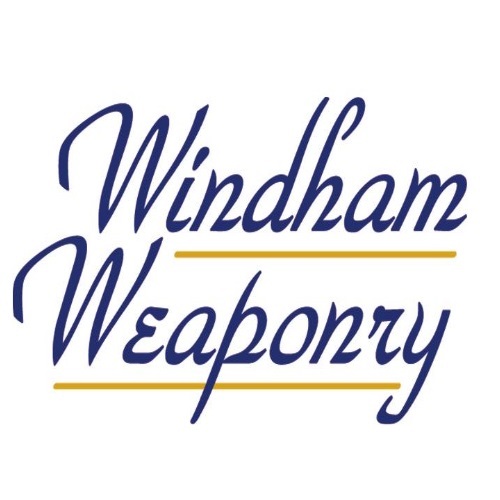 It has a reputation to keep, a legacy to follow, and it is certainly doing that – producing some of the finest weapons and recreational guns around in the process. You have to keep things moving in this business. You know what they say – a rolling stone gathers no Mossberg. Thanks for reading our Mossberg feature – stay tuned for more on this great gun company and check out our Remington 770, 1100, and 1187 features here at Gunivore!